An interior designer can take a boring space and make it visually interesting. For businesses, this is an important part of impressing customers and clients that come through your door. Hiring commercial interior designers takes a little time and effort to find the right person for the job, but once you do, you can work with a professional to transform your commercial space into something that best represents your business. Before any project can begin, you need to know the budget you want to set for the project. This will not only combine the cost of the materials and the labor for any construction work, but also the designer’s fees along with the materials and furnishings that they choose for the space. You can do a lot of research before setting your budget so that you will know how much you should be spending on materials versus how much the designer charges for their services. The key to finding a designer that best meets your need is to study a number of designer portfolios before you choose a designer. Each portfolio will showcase the designer’s best work and give you an idea of how they approach the transformation. A portfolio will also provide you with information on the types of spaces they have worked with, such as spaces with odd shapes, high ceilings and multipurpose areas in residential or commercial spaces. If you want to know how a project gets from initial idea to final look, ask designers if they have any case studies that you can look at for a more in-depth understanding of the process. Another perk that many designers offer is the ability to help you find the contractors you may need when it comes to room renovation, lighting, plumbing and other upgrades. 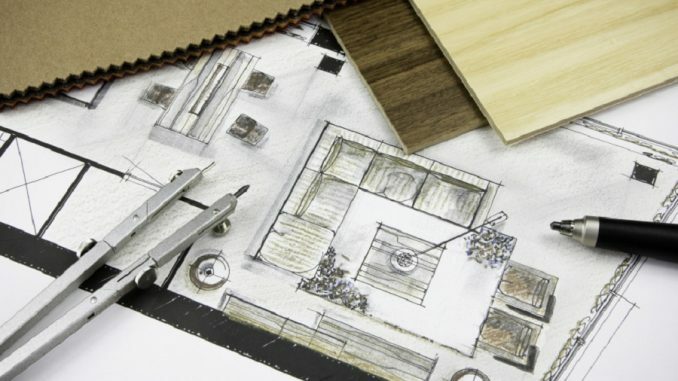 Designers are immersed in the construction world as well as the design world, so if you find a designer that also lets you know who the best contractors are, you can get more bang for your buck.